The Ferrari Certified Pre-Owned Program takes the risk out of buying a previously owned vehicle. Each CPO vehicle has been thoroughly inspected and comes with manufacturer-backed warranty coverage for 12 months after purchase. This warranty covers the cost of numerous spare parts and cost of work of the principal repair. 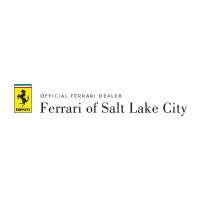 Each Certified Pre-Owned Ferrari vehicle has passed an extensive 101-point inspection by certified mechanics. All of our Certified Pre-Owned vehicles come with a Vehicle Maintenance History Report and 24-hour Roadside Assistance for 12 months. Before any vehicle can be declared Ferrari Approved, it must first pass a series of rigorous technical checks and controls drawn up by the Factory. This complete and detailed Ferrari-approved inspection is required to be carried out by factory-trained technicians who specialize specifically in evaluating Ferraris. It involves an impressive 101 different checks of the vehicle, encompassing every aspect of the vehicle from it’s electrical systems to its bodywork to its interior.